Weight Watchers inspires everyone to reach their goals and live a healthy, happy life. With deliciously decadent ice cream treats at only 4 SmartPoints value or less, we're giving you a mouth-watering way to celebrate. 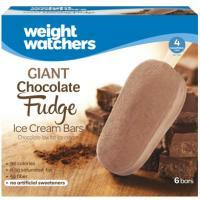 Discover Weight Watchers frozen treats in your grocer's freezer. My husband and I really enjoy several of the weight watchers meals. We both take them to work for lunch.